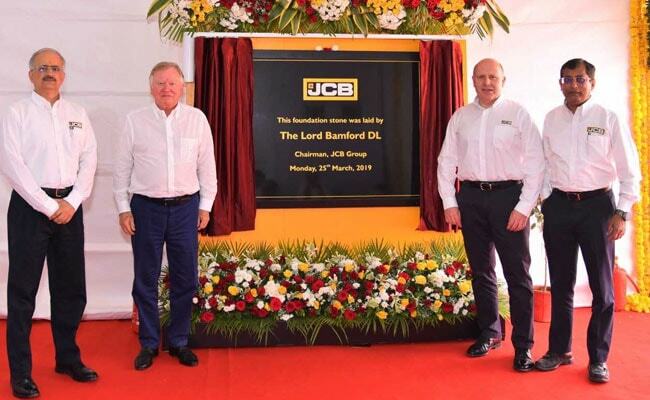 Lord Bamford, Chairman, JCB laid the foundation stone for the new plant which will be the company'ssixth factory in India. JCB is to invest ₹ 650 Crores in a new plant in India as the company prepares to celebrate 40 years of manufacturing in the country. The new factory will be located in Vadodara in Gujarat and will manufacture parts for global production lines. Lord Bamford, Chairman, JCB laid the foundation stone for the new plant which will be the company's sixth factory in India. The company already has factories in Delhi, Pune and Jaipur. Production at the new facility at Halol-II, Vadodara on a 44 acre site will begin next year. It will house the most modern laser cutting, welding and machining technology and will be a fork-lift free operation. It will be capable of processing 85,000 tonnes of steel annually.